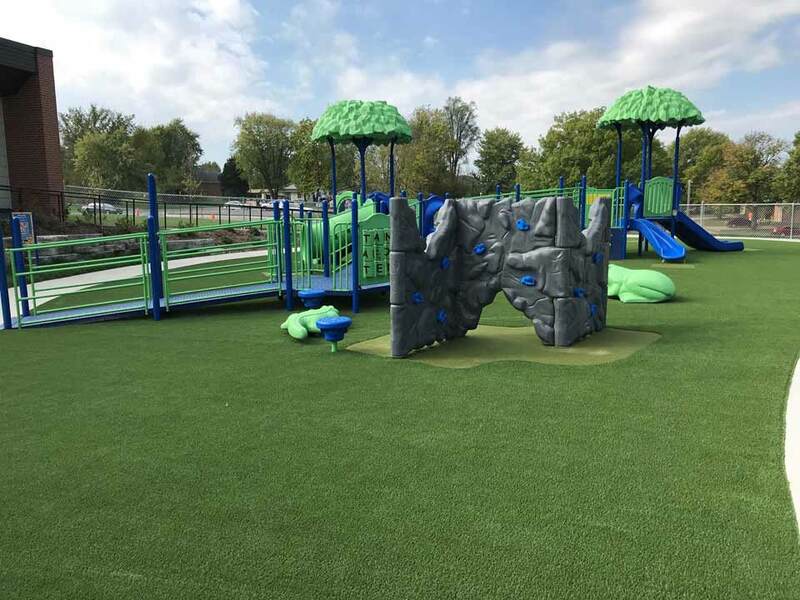 SYNLawn is bringing cutting-edge artificial grass technology all throughout Missouri, including the progressive town of Columbia. Our artificial turf landscaping solution looks, feels, and reacts just like real sod. The main differences are its draining power and low maintenance upkeep. It also lasts significantly longer than traditional landscaping. We come to you, so we can see the space firsthand to provide an educated recommendation and solution to your needs. You can touch and feel our turf-like fibers to see how they perform like the real thing. From schools and daycare facilities to home lawns and dog kennels, SYNLawn looks great wherever it is installed. You will no longer need to worry about weeding, filling in low spots, or correcting soil erosion on your property. Kids and pets love the alternative surface, and you will be making a great step forward towards reducing your carbon footprint and water waste with your artificial turf application. SYNLawn custom cuts and builds all our artificial grass products at our factory in Dalton, GA, and we bring it straight to you in Columbia, MO. Our experts are friendly, knowledgeable, experienced, and will be direct with you to help you make the right product selection for your needs. Contact us today for your free on-site design consultation!